Calling all Philadelphia area middle school girls in 6th, 7th, or 8th grade who will be 7th, 8th or 9th graders next year! 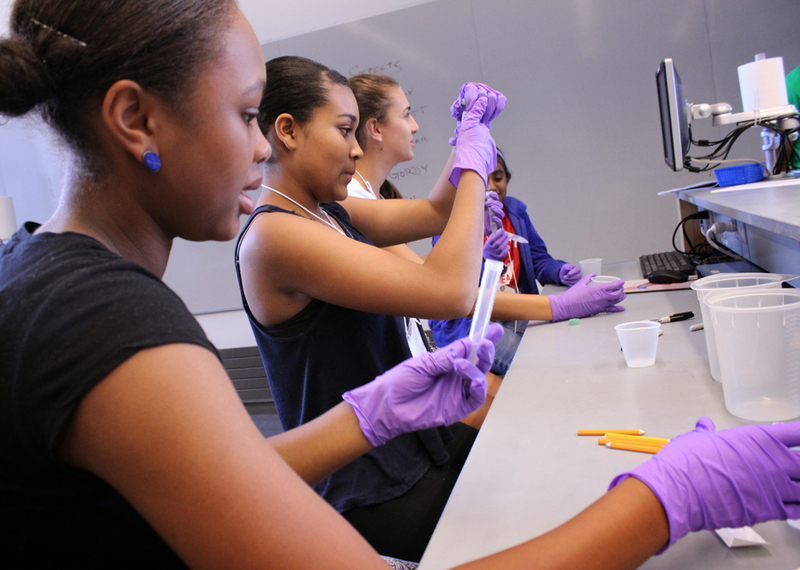 Penn GEMS: Girls in Engineering, Math and Science Camp is an opportunity for Philadelphia-area middle school girls to learn about engineering and how it is part of everyday life. Join us for a great week of hands-on science, math, and engineering at Penn! You’ll get to participate in hands-on engineering activities such as in Bioengineering, Nanotechnology, Materials Science, Graphics and Computing. Please note: GEMS is a day camp only. Overnight accommodations are not available. To introduce engineering to girls through nanotechnology, materials science, bioengineering, environmental engineering, chemical engineering, robotics, graphics and computing. To make connections with role models and mentors that will help them to visualize themselves as engineers. To encourage girls to continue studying math, science and computing and to think about studying engineering in college. Emphasis on real-world problem solving, collaboration, teamwork and building self-efficacy. For more information or to be added to our mailing list, contact us at awe@seas.upenn.edu or sign up here.